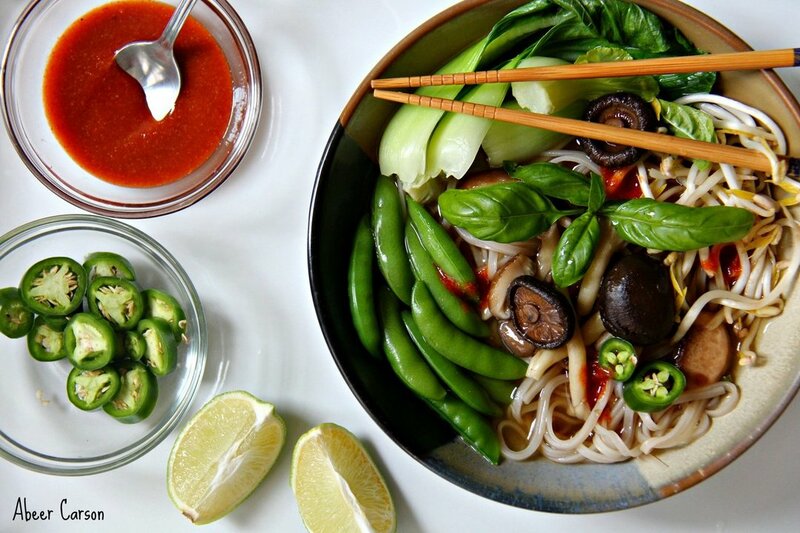 This course offers foundational instruction in plant-based culinary arts. With a focus on the application of core techniques in the plant-based kitchen, the experience will allow you to explore and practice a variety of recipes and flavors from around the world. The course begins with a quick set-up to get you started cooking right away. A full introduction to core techniques for cooking vegetables, grains, legumes, and meat and dairy alternatives is followed by a culinary world tour of plant-based foods and flavor principles. The course also covers advanced raw techniques and addresses health supportive cooking with no oil, low sodium, and gluten free options. A variety of Rouxbe Rx Wellness Menus that target specific health concerns will be offered, along with a variety of other professional resources and downloadable teaching materials. Welcome to the Rouxbe Cooking School. Before you begin learning about how to cook and eat more plant-based foods, we want to be sure that you understand the course structure and how the learning platform works. We also want to explain what we expect of you as a student, and what you can expect from us. This introductory unit sets the stage for your learning. In this unit, we will explain how this course is structured, how the Rouxbe learning platform works, and what to expect in the course. This lesson provides basic and foundational culinary training delivered in an online format to enhance your work in the industry. 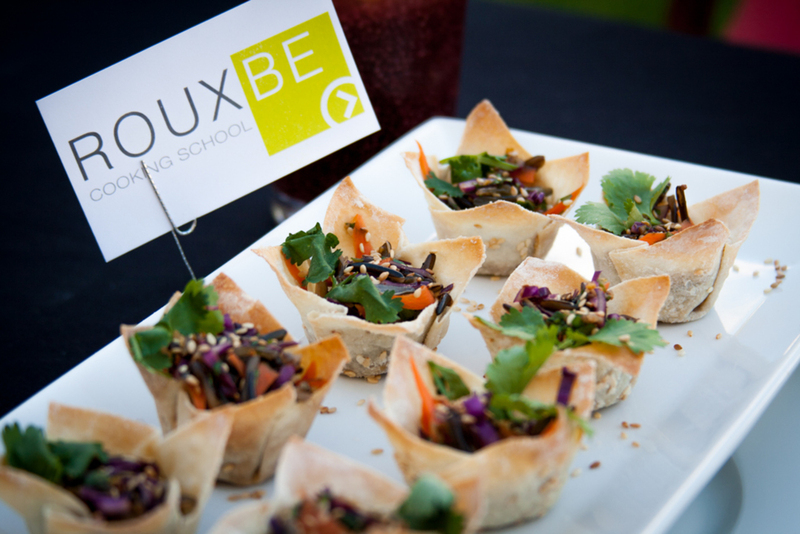 Rouxbe primarily introduces and reinforces techniques and skills that will help you become a better, more skillful cook; however, there are also important complementary skills, such as communication and problem-solving that are critical for success in the culinary arts industry. This unit gets you ready to cook and set up for success. You’ll learn about stocking your kitchen with the necessary ingredients and tools, as well as the basics of plant-based nutrition. You will also learn more about making plant-based choices and, ultimately, why it’s important to be able to cook plants and build healthful, delicious meals. This lesson explores the differences between processed and whole foods, and examines the nutritional reasons to include more plants in the diet. In this lesson, you will learn the common nutritional myths about eating a plant-based diet and some basic science to support a balanced plant-focused diet. This lesson looks at processed food products, how to read their labels and how some of their ingredients may affect your health. This lesson gets you ready to cook. It demonstrates how to reset your cupboards and refrigerator to set the stage for cooking in a plant-based, whole foods kitchen. In this lesson, you will discover how to set up and organize a kitchen with the essential tools and equipment. This lesson introduces you to the Rouxbe Map of Cooking, which can help guide your cooking choices step by step. In this lesson, you will learn how to keep safe in the kitchen, what hazards may occur and how to apply simple first aid. In this lesson, you’ll learn about when to wash your hands, and how to wash your hands properly. This unit charts a path for you to become more comfortable and proficient with handling a knife. Here you will learn about knife selection, handling, safety and extensive technique around specific knife cuts. Learn what to look for when selecting the right knife for you and why it's important to use high-quality knives. Tackle the techniques behind using most important knife in your kitchen: the chef's knife. In this lesson, you will learn about the importance of a sharp knife. You will learn about various whetstones and how to care for them and what happens to a knife during sharpening. This unit focuses on moist-heat cooking methods, such as steaming and submersion, simmering and boiling, and the importance of preserving vegetable pigments for health and presentation. 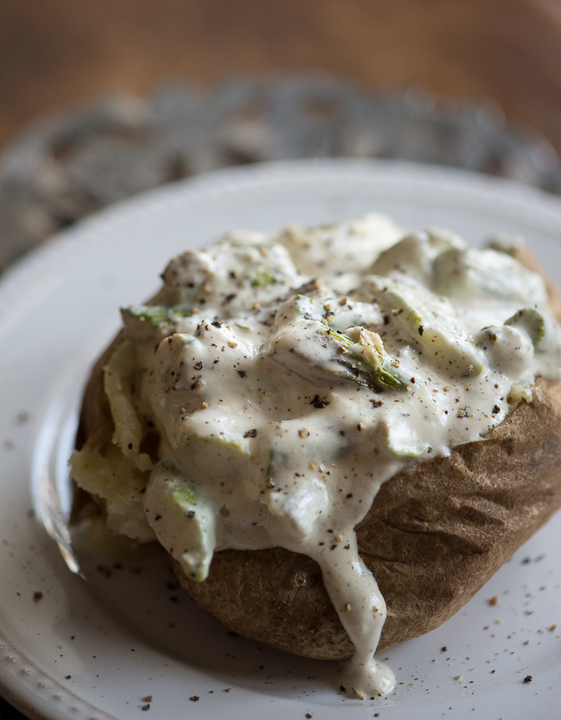 It also addresses how to properly finish steamed vegetables for extra flavor and appeal. In this lesson, you will steam and finish many sizes of vegetables. Learn some simple methods for preserving the pigments in vegetables, so you can serve and eat them in all their colorful glory. Submersion cooking methods are moist-heat cooking methods that consist of poaching, simmering and boiling. In these cases, ingredients are cooked by being submerged in hot liquids. This unit focuses on dry-heat cooking methods. It will introduce some foundational knowledge on how to heat a pan and how to correctly sauté vegetables. This unit also covers the techniques of sweating and roasting, both of which help build flavor in your food, and introduces the concept of combination cooking. In this lesson, you will learn how to sweat food properly and why it is often beneficial to sweat the small stuff. Learning how to sauté is an important task for any home cook or professional chef. It is one of the fastest and most common dry-heat cooking methods used to cook bite-sized pieces of food in a pan. 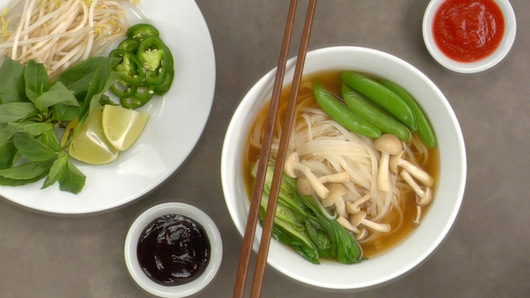 This lesson introduces you to the technique of stir-frying, and explains why your mise en place is such an important part of this essential plant-based technique. When cooked properly and to the right doneness, roasted vegetables not only look beautiful, they have a delicious and earthy flavor that pairs well with almost any dish. Combination cooking involves both dry- and moist-heat cooking. Braising, stewing and pot-roasting are all combination cooking methods which are excellent for cooking certain vegetables as well as tofu, tempeh and seitan. This unit introduces you to the concept of batch cooking, which will help you be prepared to eat well and stock yourself up throughout the week to make menu planning more efficient, and set you up for success in the kitchen. Whole grains, legumes and rice cooking techniques and methods are the focus in these lessons. This unit introduces you to the technique of batch cooking which will help you be prepared to eat well throughout the week. Grains, legumes and rice cooking techniques are discussed. This lesson introduces you to the concept of batch cooking which will help you be prepared to eat well throughout the week. In this lesson, you will learn to make plain and infused white rice, and will practice the pilaf and risotto methods of rice preparation. This lesson will teach you how to properly prepare grains in safe and healthy ways, and introduce you to versatile grain quinoa. In this lesson you will learn how to buy, store, soak, and prepare dried legumes. This lesson show you how pressure cookers truly cook foods, and how safe they are when properly used. Pressure cooking can open up a whole new range of flavors and textures in your kitchen that you did not think possible. This unit highlights how you can make plant-based choices all day, and all week, long. It focuses on recipes and techniques that you can use to build healthful and delicious breakfasts, lunches and dinners. It also discusses how to repurpose ingredients throughout the week to save both time and money. In this lesson you will learn some simple formulas for creating a number of breakfast items such as smoothies, breakfast bowls and more comfort foods such as french toast, waffles and scrambles. In this lesson, you will learn about some staple lunch items and formulas to create a variety of plant-based salads, as well as composed grain and bean bowls. In this lesson you will learn affordable and quick dinner ideas such as one pot meals along with formulas for creating scratch veggie burgers. 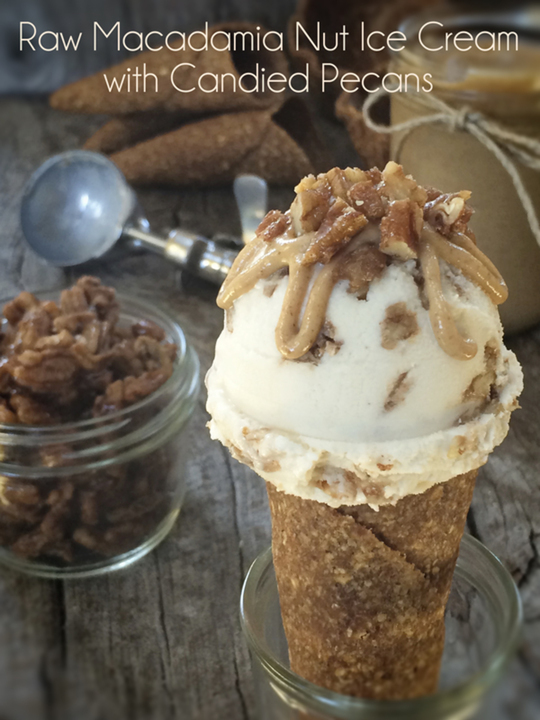 Plant-based cooking doesn't mean you can't indulge in occasional treats. 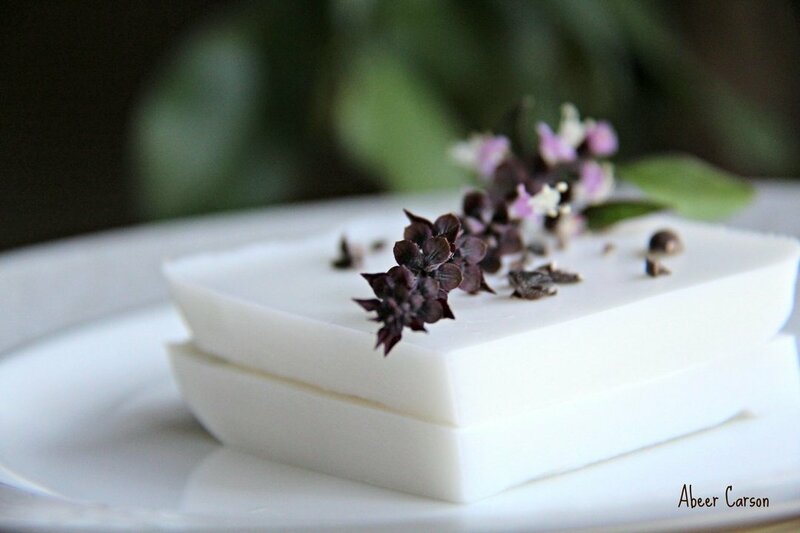 In this lesson, you will learn basic techniques and methods for creating simple, plant-based desserts. This unit focuses on seasoning and flavor combinations. We’ll discuss salt, fats, acids, sweeteners, and herbs and spices, and how to use them to create balanced, exciting flavor profiles within your recipes and menus. You will learn how to alter or manipulate textures in food to make them more palatable and attractive, and you’ll get an introduction to using starches and stabilizers, emulsifiers and gelling ingredients. In this lesson, you will discover types of salt, as well as the importance and function of sodium within recipes. You will also learn when and why it is sometimes appropriate to limit the use of sodium. In this lesson, you will learn about the role of fats in a plant-based kitchen. You will learn about different types of fat, their role in recipes and how to limit or use them appropriately. In this lesson, you will learn about different types of acids, their role in creating balanced flavor profiles and how to use them effectively. In this lesson, you will learn about a variety of sweeteners, from whole food sweeteners to more refined options. You will also learn how and when to use certain sweeteners within a recipe. In this lesson, you will explore the world of herbs and spices. You will learn how to choose, store, use and prepare spices, as well as more advanced methods of combining herbs and spices. In this lesson, you will learn about thickeners, gels, and stabilizers in the plant-based kitchen. You will learn about different types of plant-based thickeners, their applications and their limitations. You will also learn some advanced techniques for creating texture in your finished dishes. In this unit, you will explore everyday staples and foundational recipes to help you build plant-based menus. In this unit, you will learn how to adapt familiar foods, such as stocks, soups, dressings, dairy and meats, and make them plant-based. You will learn about methods, substitutions and products to help you make these adaptations. 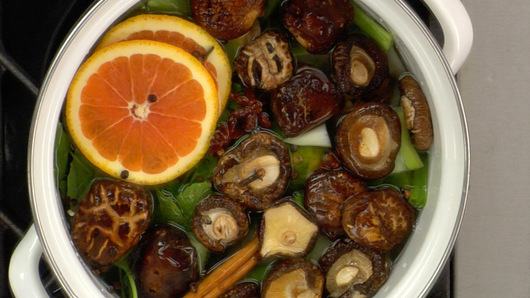 In this lesson, you will learn how to create vegetable-based stocks from scratch. These stocks will be a staple for the soups and sauces that you will encounter in future lessons. Appreciated for their comforting and soul-warming qualities, soups are easy to make. No wonder they're a favorite dish in nearly every food culture. Dressings, vinaigrettes and marinades can make any plant-based food shine. In this lesson, you will learn some of the key ingredients and methods for creating these kitchen staples. This lesson highlights indispensable sauces for the plant-based kitchen: red sauce and white sauce, plus sauces influenced by global cuisines. In this lesson, you will learn how to make a variety of relishes, pickles, chutneys, salsas and other condiments to highlight your dishes and boost flavor in your meals. This unit addresses plant-based alternatives to meat and dairy. It will introduce proteins such as tofu, tempeh and seitan, and dairy alternatives such as nut milks and cheeses. 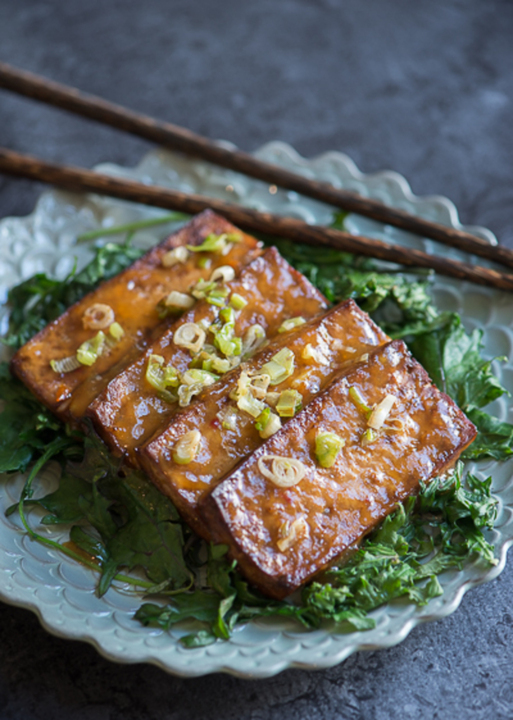 In this lesson, you will learn how to work with plant-based protein products on the market, including tempeh and tofu. You will also learn about pre-prepared products available on the market. In this lesson, you will learn about seitan, a protein-rich "meaty" staple on many plant-based menus. You will learn how to prepare it with techniques such as braising, boiling and steaming. In this lesson, you will learn some key plant-based substitutions for dairy products, as well as techniques for how to use them. You'll also learn some basic recipes for creating staple dairy alternatives, so you'll be able to convert dairy-based recipes to plant-based recipes. In this unit, you will learn how to choose dried pastas, their standard cooking methods and the varieties on the market. You will also discover how to prepare and use of a number of fresh, from-scratch eggless pastas and Asian noodles. This lesson will guide you on how to properly select, store and cook dried pastas. In this lesson, you will learn the essential skills and techniques to properly cook pasta, how to cook dried and fresh pasta and how to test each type for doneness. You will also learn how to match different sauces to the type of pasta you are cooking. In this lesson, you will create handmade, eggless fresh pasta that will be the building block for multiple dishes, whether paired with a variety of sauces or tucked around stuffed pasta fillings. In this lesson, you will learn about filled pastas, including ravioli and manicotti. This lesson will explore a few techniques and recipes for making fresh noodles from around the world, particularly spaetzel and udon. This unit demonstrates methods for cooking without oil or salt for particular dietary needs and preferences. It highlights how to use whole food fats instead of processed oils, and gives methods and tricks for how to reduce sodium by using other flavor builders and cooking techniques. This lesson will describe how to identify and classify whole, plant-based fats. It will also provide suggestions for how to use whole food fats within recipes. This lesson explains why sodium may not be needed in certain culinary dishes, and suggests tips and tricks for avoiding and reducing salt. This lesson will explore techniques and cooking methods used in no-oil cooking, and simple tricks and tips for building flavors without adding sodium. Dressings and marinades are essential when creating flavor-packed dishes. In this lesson, you will discover simple formulas for creating dressings and marinades with a balanced flavor profile, and minimal or no added sodium or added oils. This lesson will show you how to create versatile modern sauces for multiple recipes, such as a basic white sauce, red sauce and brown sauce--without added oil or salt. In this unit you will explore condition specific overviews of dietary plans assembled in partnership with Rouxbe’s Medical and Wellness Advisory Board. You will be able to identify some of the key foods to include and avoid when eating for health concerns, and supportive cooking techniques to pair. This lesson introduces you to the cooking methods that are most beneficial to health. In this lesson you will explore the effects of cardiovascular issues, foods that help support and balance the effected systems, foods to avoid, and key cooking methods that support heart health. In this lesson you will explore an overview of what causes Type 2 Diabetes, which foods help balance and support the affected systems, which foods to avoid, and which key cooking methods help regulate blood sugar. In this lesson you will explore an overview of gastrointestinal issues, which foods help balance and support the affected systems, which foods to avoid, and which key cooking methods support healing. In this lesson you will explore an overview of autoimmune issues, which foods help balance and support the affected systems, which foods to avoid, and which key cooking methods support healing. Gluten is a family of proteins in wheat and other grains that can cause gastric distress and other complications in some individuals. This unit introduces you to ways of cooking and eating without gluten. 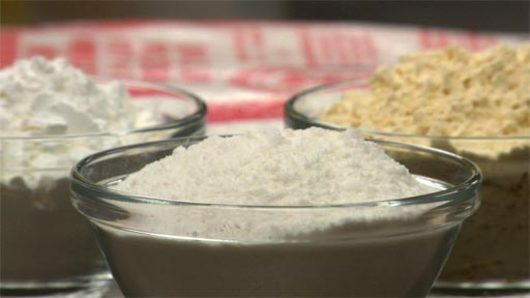 In this lesson you will learn about the variety and versatility of gluten free grains and flours, recommended brands and categories of products on the market. This lesson will explore the varieties of gluten-free pastas on the market, highlighting flavor profiles of each, and ways to prepare them. This lesson provides an overview of gluten free baking and highlights gluten free baking techniques and some common sweet applications. This extensive unit introduces a full detailed overview of raw gastronomy, outlining the foundational technique, explanation and methodology behind creating therapeutic and comforting gourmet raw and living foods. 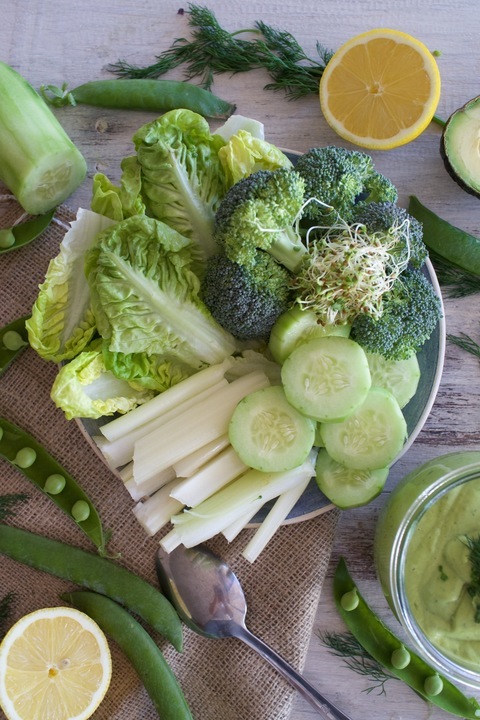 This curriculum covers all the basics to more advanced approaches in preparing raw plant-based cuisine such as juicing, blending, germinating, sprouting, fermenting, marinating, culturing, and low heat cooking. This lesson introduces and discusses the reasons why raw and living foods should be included in the plant-based repertoire. It highlights the essential tools that are necessary in a raw food kitchen, and introduces the concepts of raw living food preparation. This unit discusses the merits of juicing and covers technique and therapeutic uses. When a variety of vegetables and fruits compose the main portion of your plate on a raw foods diet, it is essential to understand the basic methods in preparing them. In this lesson you will learn basic preparation techniques for showcasing them within your menus from vegetable pastas, wilting, marinating and pressing to low heat methods. In this lesson, you will learn how to use raw foods to create your own versatile base dishes that can change flavor profile and use throughout your week, and help you reduce your reliance on complicated recipes in your daily life. This lesson will explore the different categories of "superfoods" from less well known ingredients to more common ingredients that truly pack a punch of nutrition. There is nothing quite like growing your own. Germinating, sprouting and a basic understanding of kitchen gardening are important techniques and skills when working with living food. In this lesson you will learn the about the simplicity and culinary uses for germinating nuts and seeds, along with methods, how to select, grow and use sprouts within recipes. In this lesson you will explore the varieties, textures and applications you can achieve by using dehydrators. From preserving, warming and wilting to raw snacks, dehydration is an essential method in the raw kitchen. Fermenting is an ancient preserving technique used for centuries across most world cultures. This lesson will dive into some of the preparation methods, safety and sample recipes and uses for fermenting foods in your kitchen. In this lesson you will identify the types of of nuts and seeds you can culture and the taste profiles and unique methods used to culture each. Just like cooked sauces and the importance of their functionality within a dish, raw sauces also are key components to bringing a dish together. This lesson will cover a few base sauces and staple condiments that will accent your raw dishes. 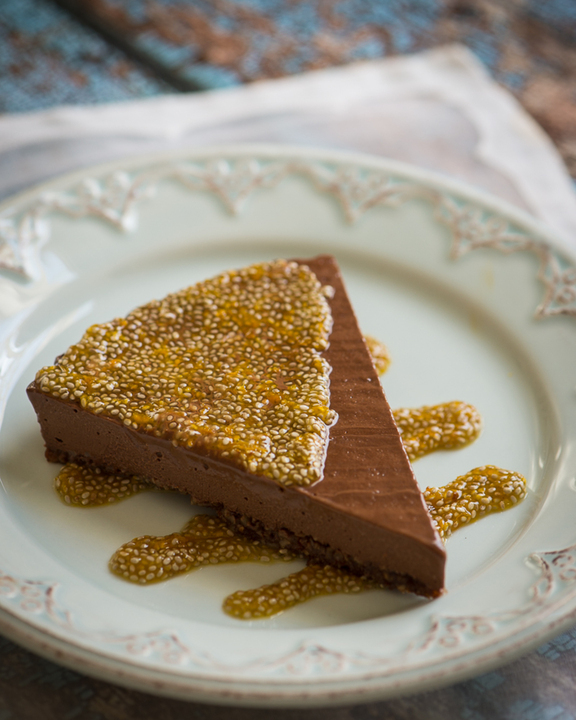 Well crafted raw desserts can easily stand up to any cooked dessert counterpart on a menu. Despite the fact that raw desserts can be quite rich (due to the typically heavy use of nuts and seeds), having that sweet tooth satisfied is simple when using whole natural sugars in combination with fruits other sweet ingredients. In this unit, you will practice techniques and dishes with flavor profiles from around the world. You will have the opportunity to learn about specific plant-based foods and spices from regions that you find interesting and apply what you know about cooking techniques to create these international dishes. This unit focuses on how to use the techniques and recipes you’ve learned in this course to create small bites and tasting menus. We’ll share tips for creating plant-based canapés, shooters, skewers and spoons. You’ll also learn how to properly plate, garnish and present dishes for maximum effect. Cocktail parties and entertaining guests are some of the best ways to showcase your talents with plant-based cuisine. In this lesson, you will put those newly learned skills to use while showcasing some of the dishes covered in prior units--with a twist. Your guests will enjoy sampling smaller portions with a bite sized spin, including canapės, tapas, shooters, skewers and other easy-to-eat party food. We eat with our eyes first, which is why some basic knowledge of presentation is an important component for creating delicious and attractive dishes. In this lesson, you will begin to navigate the vast world of garnishing with powders, oils, and other accents to layer texture and color. This is where it all comes together. In this unit, you will be given your final assessment on the material that is covered in the preceding units. Below is a snapshot of real student photos from the course. Once you learn the foundational techniques of cooking, you too can begin to create an endless number of delicious dishes! This is the finished product. After cooling the agar coconut milk mixture for 30 minutes, I cut the gel into cubes per instruction and garnished as you see pictured. I chose coconut milk for it's creaminess, and wanted to see how it came out as a canvas for flavoring. I would suggest serving it with a tropical fruit syrup, or adding a layer of gelled fruit such as mango to create a panna cotta. I don't know why I expected this dish to be a difficult process to create. The difficulty for me was to create something that can wow. I am always looking for the wow factor. this can be a fine line when marring different flavors. I have to say that doing the research is what assisted me to the final dish, and obviously taste testing before. Finally the sensation of eating the dish was like drinking refreshing water. the pickles were lovely with their hint of sweet and acid notes the Chinese pear held the dish together the crispness of the chines pair and christmas melon all pooled together to create a wonderful eddy of refreshment. For me this dish was about control and patience. Fine cuts and layering to achieve what I hope can be considered as a raw gastronomy. 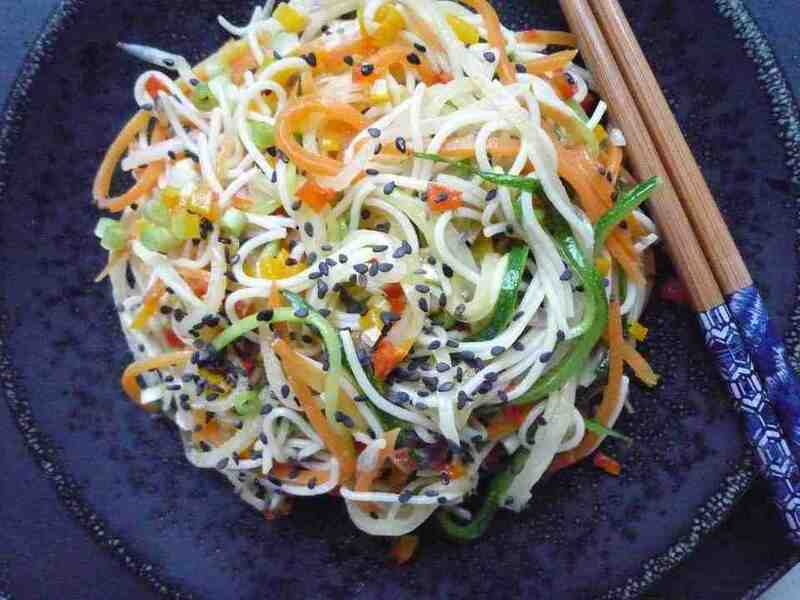 Millet/brown rice noodles with mandolined carrots, daikon and zucchini. diced yellow and red bell pepper, garlic, thai red pepper, red onion, green onion. All stir-fried with a bit of coconut oil. Finished with black sesame seeds, tamari and sesame oil. To make my carrot cake, I added fresh shredded carrots, homemade almond meal, homemade coconut flour, shredded coconut, cold-pressed unrefined coconut butter, pecans, and medjool dates to my food processor. I processed it to get a fine meal with vanilla, cinnamon, ginger, all spice, cloves, cardamom, and black pepper to get that spiced cake flavor. The result was an amazing true to flavor carrot cake. 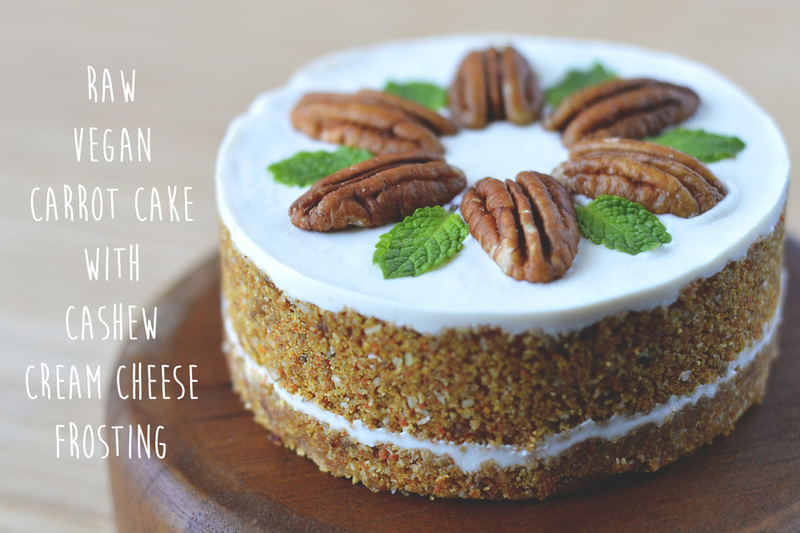 I then pressed the "cake" into a springform pan and topped it with a layer of the cashew cream cheese. I stuck it in the freezer for a few minutes to firm up and then added a second layer of cake and frosting and returned it to the freezer. I decorated the top of my cake with whole pecans and mint leaves. The taste was incredibly flavorful yet unbelievably light. The cultured flavor of the cream cheese perfectly complimented the spiced sweet cake. 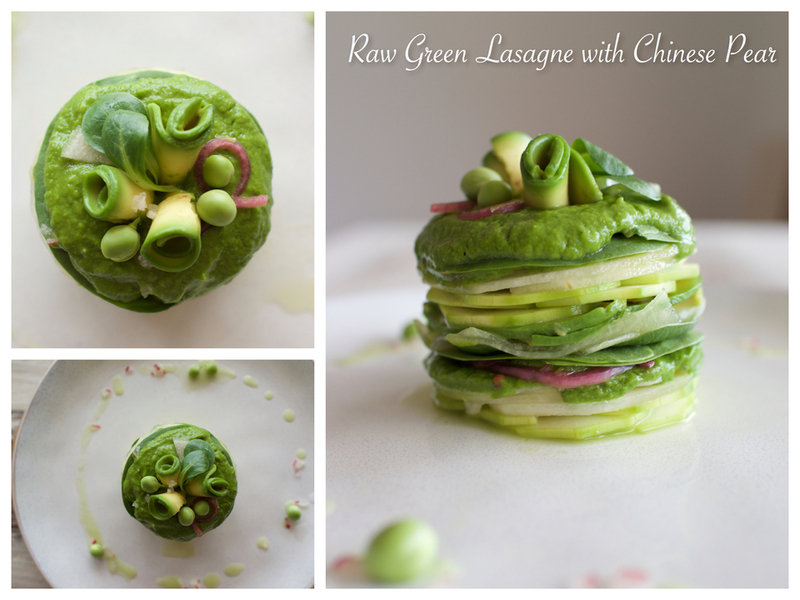 An amazing raw dessert that I will definitely be making again! A delicious marinated, baked tofu topped with pineapple mango sweet and sour sauce dotted with ginger and chili, served on a bed of lightly sautéed baby kale and topped with fried scallions. *Mise En Place is for the marinated baked tofu. I love vegan scallops (king oyster mushrooms), so definitely wanted to use them here. After slicing and giving the mushrooms a good soak in warm water, I scored one side, then sauteed them in an oiled, preheated stainless steel pan until both ends developed a nice color. The night before, I simmered some amaranth grain in a deep crimson beet juice (with balsamic, soy sauce and thyme) until al dente to create a crimson-colored caviar. Then I allowed it to cool and refrigerated overnight to allow the color to penetrate into the amaranth even more. To serve, I drained some of the beet juice so it wouldn't bleed all over the plate, then spooned some of the cold caviar over the scallops and topped with a microgreen. 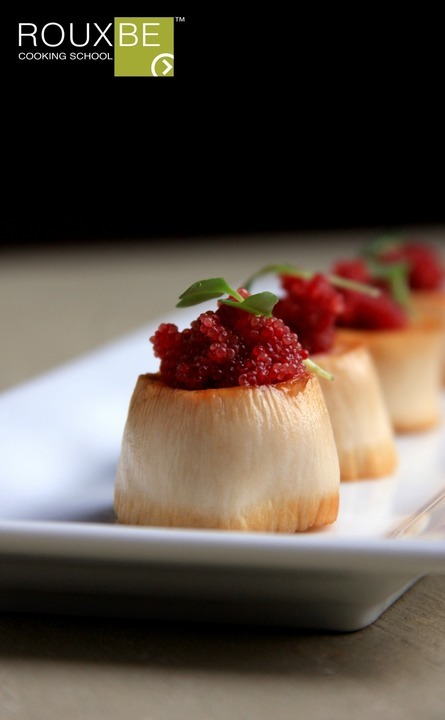 The scallop was crisp and succulent, and the caviar was sweet and salty. This chocolate ganache torte has many layers. Beginning with the pecan, cinnamon, chipotle crust, it expands even more with the addition on tamari, and almond butter in the filling. The cardamon orange gell is the perfect compliment to the chipotle, tamari, chocolate and almond butter. It provides a refreshing and healthy element to the dish. *Note: I did have a picture of the crust that was a little finer but could not upload it because the system kept giving me an error message. I used the previously discussed stock to create the pictured Pho Soup. I prepared the noodles separately, per the instructions on the package and blanched the snap peas, mushrooms, and bok choy. I placed the noodles, veggies, herbs, and sprouts in a bowl, then poured in the hot stock. Jalapenos were served on the side along with sriracha and tamari for the family to add according to their individual palate. I like my pho spicy, so I wound up with jalapeno, sriracha, and a runny nose to go along with it. Of course I also added a ton of fresh basil and bean sprouts There were no dull bites in this soup due to the rich broth and the abundant flavor-filled ingredients. 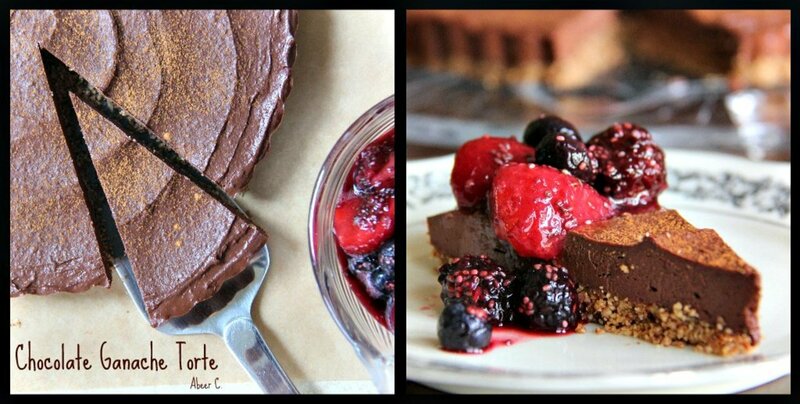 Pictured is my take on the Chocolate Ganache Torte. I was pleasantly surprised with the results, as ingredients like chipotle powder and tamari aren't typical in deserts. The key here, I believe, is that these flavors are in quantities that provide only subtle hints as to their inclusion, adding savory to the sweet. I followed the recipe pretty closely, but in the crust I used date sugar rather than maple sugar. I do recommend the coconut butter in the crust, as it definitely helps keep it crumbly but combined, if that makes sense. For a topping, I chose to put together a jelled berry compote containing mixed berries, chia seeds, pomegranate juice, lemon, and maple syrup. The acidity of the fruit compote balances the richness of the torte, and pairs well with all the other subtle flavors of this dish. 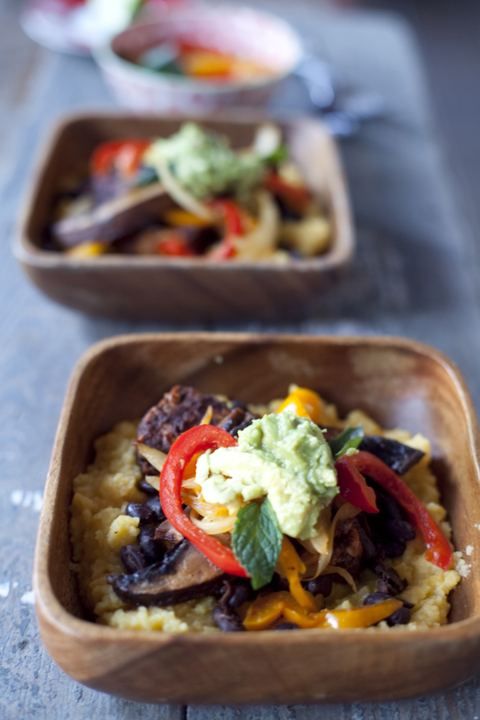 This protein-rich burrito bowl features leftover black beans, tempeh, sautéed vegetables, portobello mushrooms and mashed avocado layered over creamy polenta and topped with an enchilada sauce. Avocado ranch dip with the Green Plate. This years new years resolution is to have a green plate at every cooked meal, consisting of raw or cooked green vegetables and salad greens, even pumpkin seeds. With this method I am totally satisfied my girls are eating enough greens and it has really taken the chore out of pairing veggies in a dish or trying to sneak them in. The fact that they are all together on one plate and they can pick which ones they want has also been helpful not to mention the fact that I have them prepare as much as they can to keep them close to their food. This dressing is GREEN and it has taken our green plate up to a whole new level, and makes raw broccoli taste the bomb. I love raw foods and I am so happy to see my family enjoy them that much more. I am very excited to try the caesar dressing as my family are fans of good old caesar salad. I wonder if they notice? I already have them hooked on chicken less chicken nuggets;) this might be a good pairing The flavors in this dressing are further enhanced the longer it sits. The dill was not too over powering and the garlic was just right. I was gentle with the chipotle as this has a real kick. I prepared my own homemade almond milk from raw almonds and this really added to the creaminess of the dip. Overall another keeper committed to my long term memory banks. I really wanted to use as much of the course in my dishes as I could. I also wanted to use a favorite dish from the course that I could challenge myself in making small bites with. I enjoyed the wild rice asian salad, especially the dressing. Making a salad into a bite was also a challenge I was excited to take on. I was never really pleased with the presentation of the salad I made for my previous assignment because it just didn't show how great the salad was. It didn't take much to realize that won ton wrappers were a perfect match for this salad to serve as a base and to add texture to it. They can be shaped and crisped into a bowl to hold pretty much anything. I experimented with a couple of parties using different ingredients in them to see if they would work and spent the entire time explaining to everyone how I made them. The only difference here was that I wanted to make the won ton wrappers myself instead of buying them. I used a simple water, flour, and salt dough. While I was rolling it thinly using my pasta roller, I was thinking to myself about how I could add color to them, or even better yet, I could add herbs for flavor or seeds for texture. This lead to the idea of pressing sesame seeds into the dough before shaping them in a mini muffin pan and putting them in the oven to crisp them up. They turned out tasty and attractive. My only mistake was not making enough for the demand. I made the wild rice asian salad from the course and garnished the top with a sprinkle of sesame seeds and some cilantro. They were the perfect two-bite size. Now, my guests just have to wait a few minutes while I take a photo. I plan to expand on this won ton wrapper idea in the future to include all sorts of different dishes and press a variety of herbs, seeds, and perhaps spices into them before I shape and crisp them. The vegan brisket was one of my favorite recipes in the course, so I wanted to use it here. I had previously used the leftover brisket and made smoky bacon out of it, so had the idea to use it here in a type of roulade. And negimaki came to mind because it's a tiny roulade, perfect for a canapé. Although it's braised in a BBQ sauce, I did not find it to be overwhelmingly tomato-ey—more like molasses—so I thought it would work with a homemade teriyaki sauce (and it did!) The teriyaki sauce was reduced brown sugar and mirin, sake, soy sauce, toasted sesame oil and ginger. Once the brisket was done, I cut it into strips while it was still warm. I gave some chopped scallions a quick saute in toasted sesame oil, then spooned them along each strip, then rolled them up tightly and secured them with a toothpick. 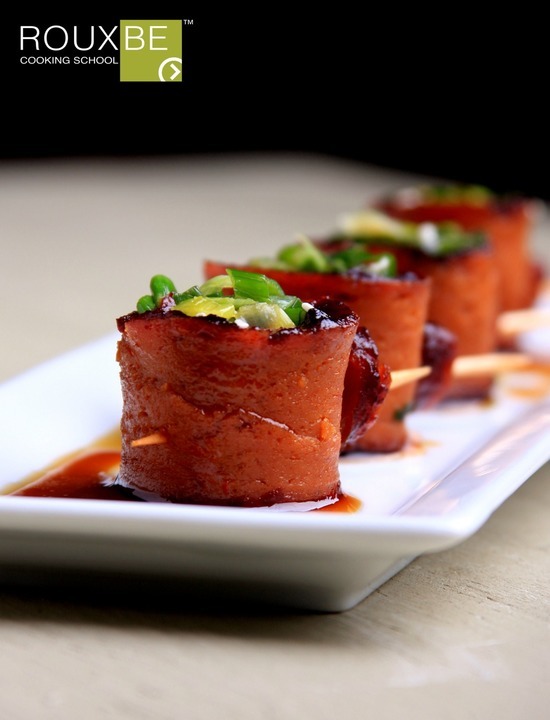 The brisket was nice and soft, and the scallions gave it a little contrasting texture, while the teriyaki sauce oozed into the nooks and crannies, making it a really flavorful and juicy canapé. Raw Summer Stack w/Herbed Cashew "Ricotta"
This Raw Summer Stack w/Herbed Cashew "Ricotta" is made by layering lemon marinated Crookneck squash, heirloom tomato, spinach, herbed cashew "ricotta" cheese and basil pesto. The crookneck squash was thinly sliced then marinated in lemon juice, olive oil and himalayan salt. I used the marinade from the squash to also marinade the spinach with some added oregano until the spinach wilted. The marinade was also added to the basil pesto(basil, garlic, walnuts) so I didn't have to use a lot of olive oil normally used in a pesto and this also gave a light lemon flavor as well. The lemon used throughout the stack really lifted the richness of the Herbed Cashew "Ricotta". This recipe was inspired from a grilled tofu stack that I make. I'm so going to make this for company. My husband and son absolutely loved this! This was so much fun to make. 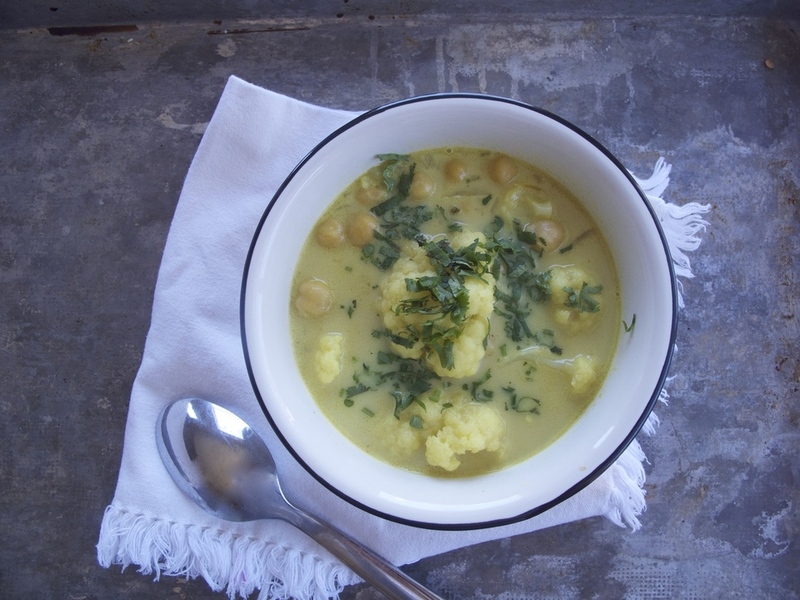 Chickpea and cauliflower soup with coconut milk, cumin and curry. This is my "go to" dish because it is easy, versatile, filling and delicious. We always have russet potatoes in the pantry and the sauce can be easily altered to suit what ever veggie (broccoli, bok choy, spinach, etc.) is on hand. 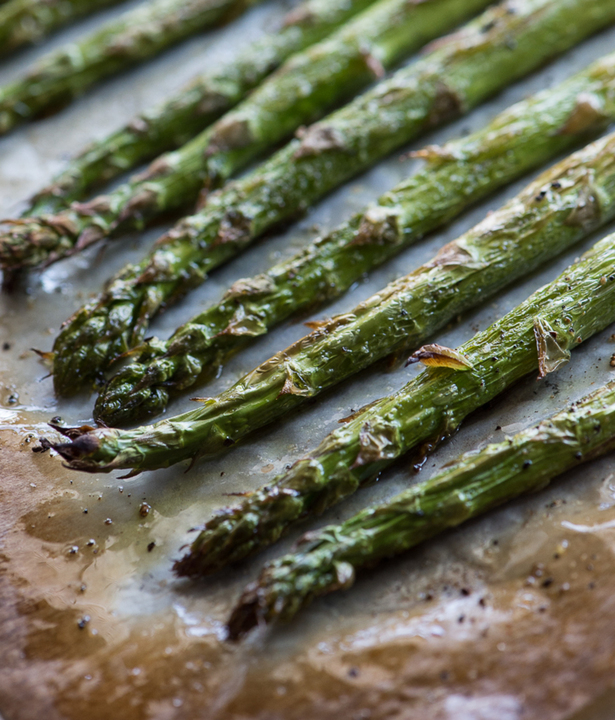 I used lemon and dijon mustard as an addition to the cashew cream sauce to compliment the asparagus. 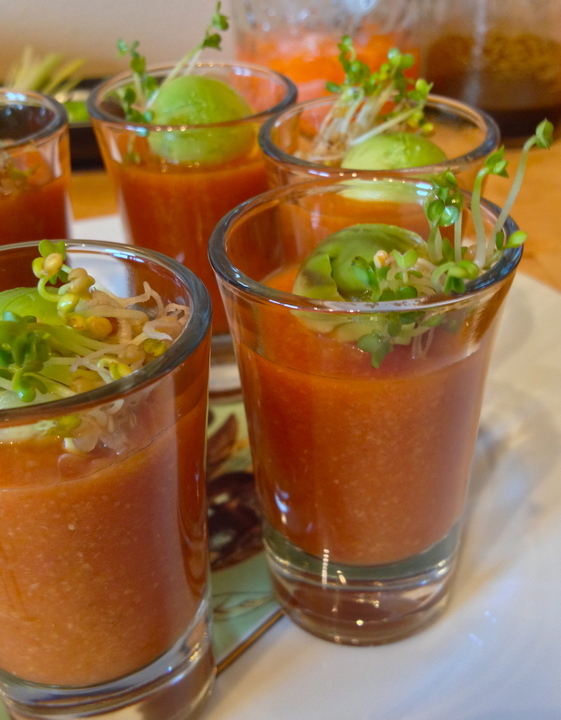 These shooters contain a warm tomato based mung bean daal, spiced with red chili, cumin seeds, cardomon and black pepper for a hint of heat and a little lemon to balance the acidity. 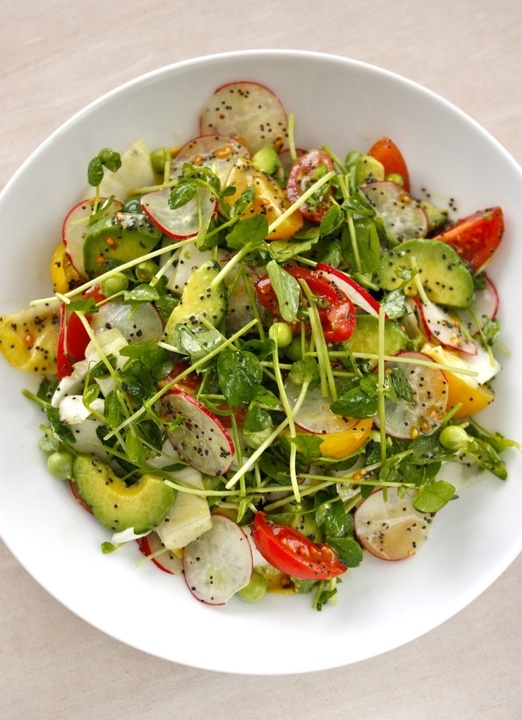 They are accented by a small ball of avocado and tangy homegrown mustard sprouts. Flavours were complex, bright and rich with the spicy sprouts up front, the bright tomato and lemon flavour rounded by the fat of the avocado, and finishing with a smooth mild heat of chili. A few of the practice recipes you'll learn in this course. 2,481 students from beginner to advanced have completed this course from 76 countries.